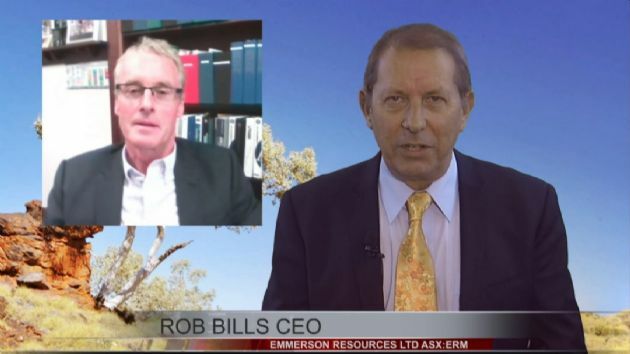 Perth, Dec 4, 2018 AEST (ABN Newswire) - Emmerson Resources Limited ( ASX:ERM) announces accelerated Mining and Gold Production. 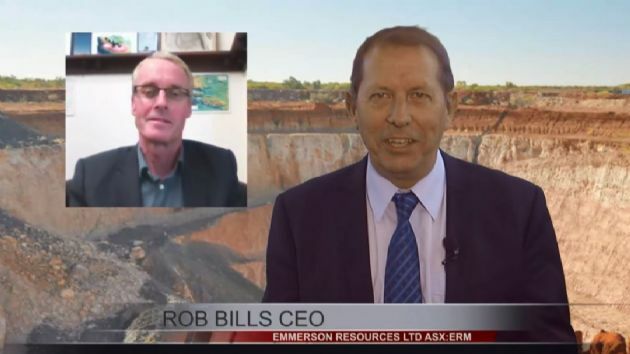 - Territory Resources Limited (Territory) purchase the Edna Beryl Mining Company (EBMC) as part of the larger Strategic Alliance with Emmerson. - Immediate plans to develop and re-commence mining the high-grade gold ores from the Tribute Area, with Emmerson and Territory executing a revised Tribute Agreement under the same terms, whereby Emmerson receives 12% of the produced gold. - Subject to Territory achieving certain performance hurdles, the Tribute Area will be expanded under the same commercial terms. - Emmerson to retain 100% ownership of the underlying mining tenement, with Territory the new registered Operator of the mining lease. - Emmerson has received approval from the Northern Territory Government for additional dewatering capacity, allowing extension and additional development of the Edna Beryl Mine. 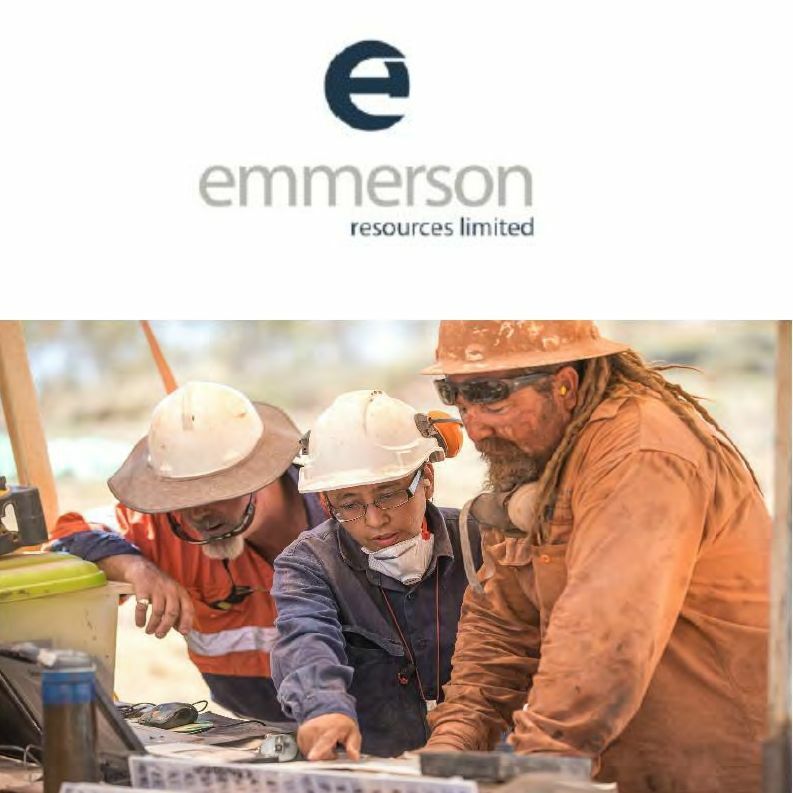 - Under the renewed Tribute Agreement, Territory is responsible for establishing an underground exploration drive to provide Emmerson with multiple sites for drilling, with the potential to greatly expand the mineralisation. "The purchase of the EBMC by Territory is a fantastic outcome for all concerned as it provides a quick route to the mining of high-grade gold. Establishing for the first time, commercial production from the Edna Beryl Mine via the refurbished Warrego Mill or third-party processing routes. We thank the NT Government for the timely approval of our recent Mine Management Plan, which provides for additional dewatering capacity from the underground workings. This is instrumental in extending the underground development and establishing an exploration drive - providing an effective platform to drill test the multiple, subparallel ironstones…some of which have yielded extremely high-grade gold from surface drilling. Also noting that high-density fan drilling from underground was instrumental to discovery in many of the famous historic mines across the Tennant Creek Field. This development and exploration strategy significantly de-risks the future for Emmerson shareholders, in generating early cash flow and providing a better understanding of the orebody. 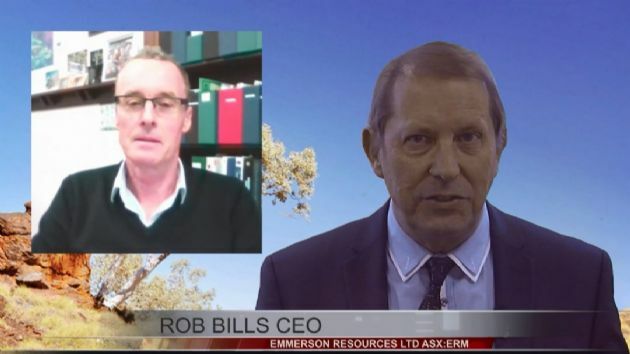 Furthermore, the recently announced Mining Joint Venture with Territory is aimed at scaling this strategy across Emmerson's other small mines within the Southern Project Area, whereby Emmerson retains either a profit share or gold royalty. 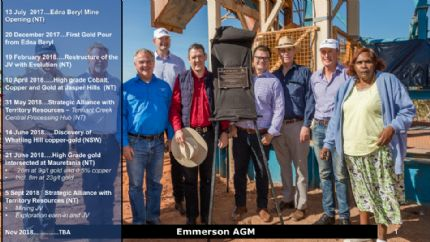 Emmerson will continue to apply its expertise as exploration manager across the entire Tennant Creek Mineral Field, including the 100% owned Northern Project Area which hosts the Edna Beryl Mine and the recent discovery at Mauretania"
"Creating local jobs is this Government's number one priority. "Tennant Creek has a long, proud mining history and the Territory Labor Government is creating new mining opportunities for the region. "When our Government approved Edna Beryl officially opening last year, six immediate operator jobs were created, with additional personnel such as surveyors, engineers, geologists and truck drivers employed at various stages throughout operation. "This latest approval means another four jobs during construction of the pipeline, including two positions for Aboriginal Territorians. "The new pipeline will also mean the mine can grow and stay in production for longer, which could result in further jobs in the future." "The Edna Beryl gold mine is a real local success story - it was the first gold mine to open in Tennant Creek in more than a decade. "Seeing the project receive approval for this next stage of development is exciting for our town." Emmerson is pleased to advise that our strategic alliance partner, Territory Resources Limited (Territory) have recently purchased the Edna Beryl Mining Company. This includes the rights to the mining and processing from the existing Tribute Area, plus all related assets including the headframe, winders, generators and accommodation facilities. Note Emmerson retains ownership of the Mining Lease. In addition, Emmerson has negotiated a future expansion of the Tribute Area to include new mineralisation within the Edna Beryl Mining Lease (figure 2). Under the terms of this extension, which is subject to Territory achieving certain performance hurdles, the EBMC (now owned by Territory) will complete the development, mining and processing from the existing Tribute Area. In addition, Territory are responsible for completing the exploration drive to Edna Beryl West and building the new dewatering infrastructure as recently approved by the NT Government. The exploration drive will enable further drilling of the multiple subparallel ironstones, some of which host bonanza gold grades. Keeping in mind that high-density underground drilling was instrumental to growing the resource base of many of the famous historical mines in the Tennant Creek Mineral Field. Once this drilling is completed, Emmerson and Territory will establish a Life of Mine plan to cover the future development, mining and processing of the greater Edna Beryl mineralisation. It is anticipated that the mining within the existing Tribute Area together with establishing the exploration drive will be completed within the next quarter. With Territory's refurbishment of their Warrego Mill now scheduled for completion in the first half of 2019, the ore mined from the existing Tribute Area may either be stockpiled, or toll treated outside of the Tennant Creek district. Territory is an experienced mining and processing operator with a successful track record at other sites around Australia. The Edna Beryl Mine will now become an important early producer in the Territory mining schedule. It is anticipated that aggressive exploration programs both as part of the Earn-in by Territory in the Southern Project Area(SPA) and, from Emmerson funded exploration in the Northern Project Area (NPA) has potential to expand this production profile over time. Particularly considering the promising recent results at Emmerson's Mauretania and Edna Beryl projects. 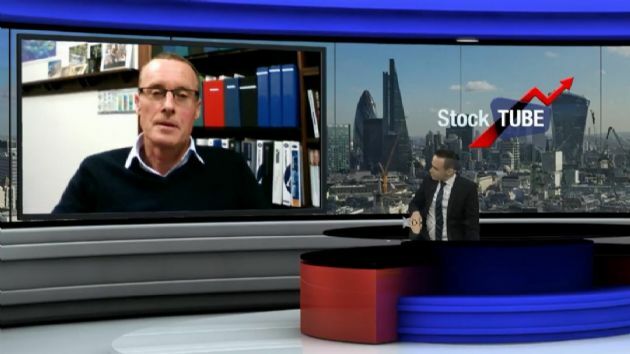 Under the terms of the agreement with Territory, Emmerson will receive a 25% profit share from any mine within the SPA, other than Edna Beryl and Chariot (where Emmerson will receive 12% and 6% respectively of the gold produced). Territory will receive a 75% share of profits in exchange for planning, funding, developing and operating the mines. At this stage, Emmerson's 25% portion of the profit share cannot be determined until the mining, processing and recoveries can be better ascertained for each individual mining project. Once the dewatering of the Edna Beryl workings is complete, reinstallation of the mining infrastructure will allow resumption of mining. An expanded workforce is already onsite. Given that the refurbishment of the Territory owned Warrego Mill is scheduled for commissioning in the first half of next year, ores mined from Edna Beryl will either be stockpiled or as a temporary measure, toll treated off site. Irrespective of either processing route, Emmerson will receive 12% of the gold dore produced. As previously announced, drilling is about to commence in both the NPA (100% owned by ERM) and SPA (under JV with Territory). As part of the NPA drilling, Emmerson has planned a number of drill holes at Edna Beryl to test for shallow high-grade gold in the oxide zone. Plus, additional drilling at Mauretania and new targets generated from the recent airborne geophysical survey. The second drill rig is about to commence in the SPA, as part of the $5m Earn-in and JV with Territory. This drilling is aimed at testing for extensions to our portfolio of small mines, assisting with mine planning ahead of potential production.